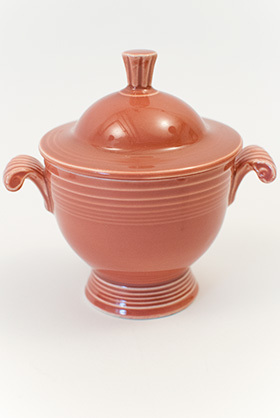 Circa 1951-1959: The Vintage Fiesta sugar bowl was a popular and essential item on the modern table. 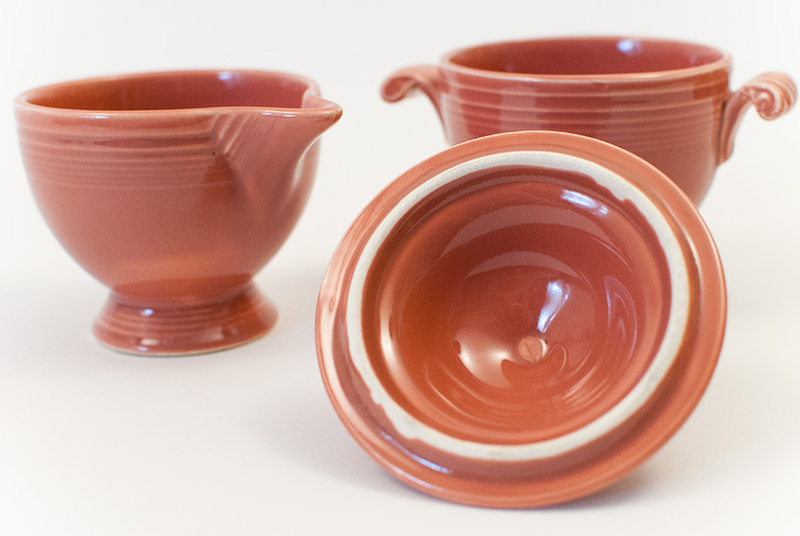 Highly functionable and also whimsically designed, pottery collectors will admire all the hand work involved in the production of the Vintage Fiesta sugar bowl. Hand attached scrolled handles and finials along with hand shaped flaring of the foot made this simple piece a delight. 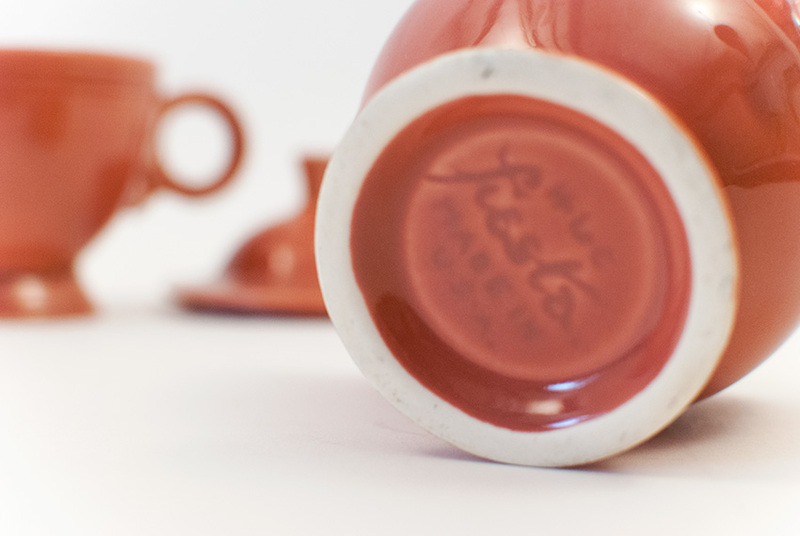 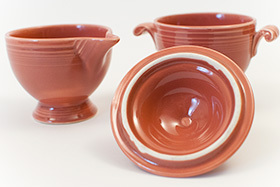 The '50s rose glaze is subtle and sophisticated. This example is in excellent condition without any sign of damage or wear, wonderful glaze with a perfect lid and no chips, scratches, touchups, cracks or repairs.